IN HOME fixtures is ideal for commercial or residential outdoor using. Outdoor Wall Lights illuminate the exterior of your home and add character to your outdoor living space. 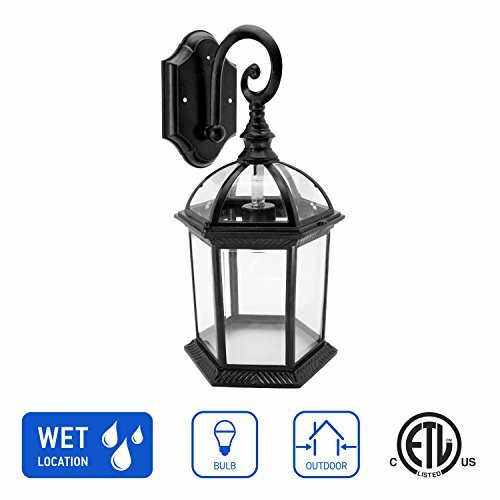 This charming single-light outdoor wall lantern will enhance landscape of any garden. Traditional design complete your home exterior. Product Size: L 7 4/5" x W 7 4/5" x H 15 3/4"
Possible using at front or back entryway, porch, deck, patio, balcony. ✔ DIMENSIONS - Height 15 3/4", Length 7 4/5", Width 7 4/5"
If you have any questions about this product by IN HOME, contact us by completing and submitting the form below. If you are looking for a specif part number, please include it with your message.